“I think this has conditioned me to better apply what I learned to help with problems and challenges I am encountering here,” says Argus, who graduated from UW–Madison in May 2014 with a degree in biological systems engineering. When she speaks of “here,” Argus is referring to Senegal in West Africa, where she has been working with a Senegalese master farmer to train local farmers in sustainable agriculture and agroforestry practices. She also is helping a local agricultural research group distribute seeds and gather information to help improve seed variety throughout the country. Argus, 24, of Helenville, Wisconsin, is one of 68 UW–Madison alumni currently in the field as Peace Corps Volunteers. 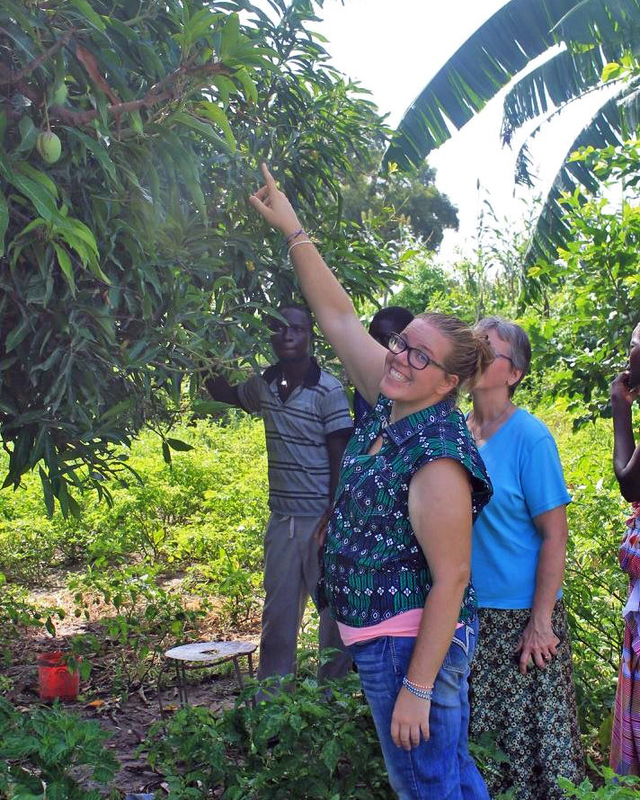 For the second year in a row, UW–Madison is the second-largest producer of Peace Corps Volunteers, according to the agency’s 2016 list of Top Volunteer-Producing Colleges and Universities, released February 18. Since the Peace Corps began its annual rankings in 2001, UW–Madison has been among the top producers every year and held the No. 1 spot for six years, from 2001 to 2006 and in 2014. Since 1961, when the Peace Corps was created, 3,184 UW–Madison alumni have served overseas, making the campus the No. 2 all-time producer of Peace Corps volunteers. At UW–Madison, the International Division hosts the on-campus Peace Corps recruiter, who provides information and shares personal experiences as a volunteer. 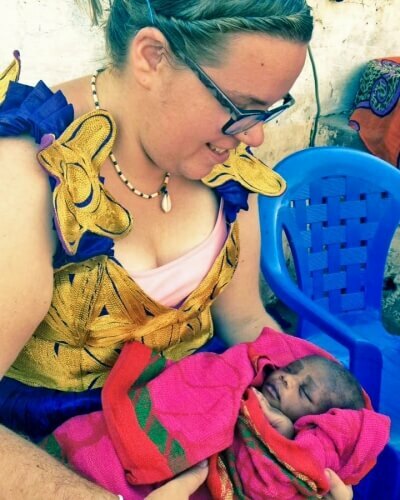 The current campus recruiter, Micah Kloppenburg, is a UW–Madison graduate student who served with the Peace Corps in Nicaragua from 2009 to 2011. As a student, she had international experiences through Engineers Without Borders and participated in an aquaponics internship in Kerala, India, in 2012 through the International Internship Program. “Through UW–Madison and various student organizations that the university supports, I had the opportunity to travel internationally a lot for a variety of projects. These opportunities gave me a little bit of a taste of what life would be like as a volunteer,” Argus says. In total, 149 graduates of the University of Wisconsin System’s 13 four-year campuses are currently serving as Peace Corps volunteers. This includes 16 from UW–Stevens Point and 14 from UW–La Crosse, which rank 14th and 20th, respectively, among medium-sized institutions. Currently, 197 Wisconsin residents are serving in the Peace Corps. A total of 6,049 Wisconsin residents have served since 1961. Nationally, the University of Washington in Seattle has the highest number of volunteers, with 72 graduates currently serving. Applications for the Peace Corps hit a 40-year high in 2015, the first full year after the agency implemented reforms that allow candidates to apply for specific countries and assignments. I like using my talents to make the world a little bit better — and Peace Corps is an awesome opportunity to do just that. Graduating college students are encouraged to browse open programs and apply by April 1 for assignments departing in fall 2016. For UW–Madison students interested in learning more about the Peace Corps, drop-In advising is available Tuesdays, 3-5 p.m., in Ingraham Hall Room 331, and Fridays, 2-4 p.m., in the Red Gym, Room 106. In addition, students may contact Kloppenburg, the campus recruiter, by phone at (608) 262-1121 or by email at peacecorps@international.wisc.edu. Peace Corps Week Kickoff, Celebrating 55 Years of Peace and Justice, Tuesday, March 1, 4-6 p.m., University Club: Cecilia Zarate and Jack Laun of the Madison-based Colombia Support Network will speak on the prospects for peace with justice in Colombia between the government and FARC guerrillas. Stories that Matter: Peace Corps Volunteer Panel, Tuesday, March 15, 4-5:30 p.m., Red Gym, Masley Media Room: Returned Peace Corps Volunteers will talk about how their service has affected their lives and careers.